Blackcaps do not come into every feeder and I have not had many opportunities to do over wintering birds. In a friends back garden there was at least one male and one female in the latter part of the winter. 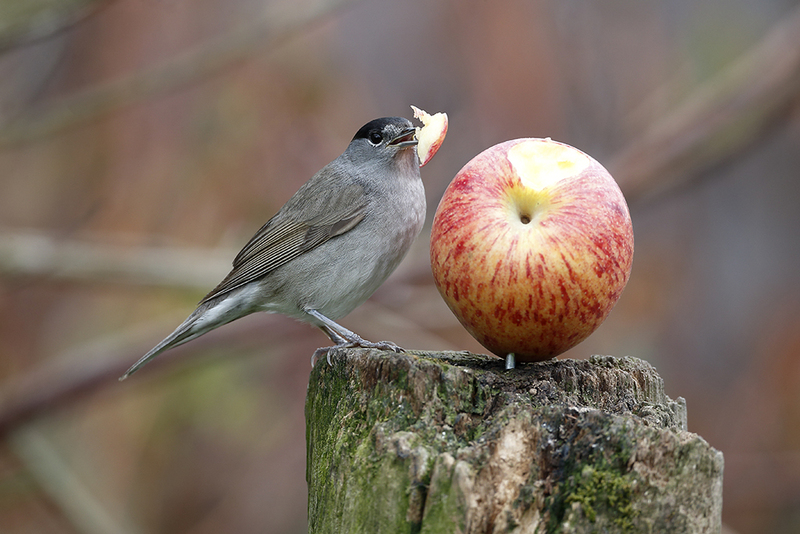 Apples are the main draw, but they like soft suet too and grapes. Canon EOS 1dx. 800mm. 1/320th at f8. 800 iso. Taken from a hide and I did get natural looking shoots on nearby branches rather than on the fruit directly.